Parent of a Multiracial Kid? Here are 7 Key Hair Tips you need to know. A few years ago I realized that my daughter was walking around with her hair looking a hot mess. I realized quickly that I needed to learn how to do her hair, and do it well. I am a White woman, married to a Black man. We have 2 mixed / multiracial / biracial children. I have felt the pressure to make sure my children look put together because I knew we were already under a microscope of judgement from others and I didn’t want to add “she has her kids out here looking raggedy” on top of the pile of opinions. Because of this I decided to learn as much as I can. Being raised in a diverse neighborhood and growing up around my Black girlfriends getting their hair done combined with my own Type A research skills already had me set up better than some other parents out there who may be reading this. I also am lucky to be close to my husband’s family so I have been able to ask them (especially my sister-in-law Salley Nycole Crews) questions when I wasn’t sure what to do. So I started my own page, Mixed Family Life, to share what I have learned with others that may not have the resources I do. Now I am here to share this information with the Multiracial Media audience. To start out we decided a post on Multiracial Hair Care Basics would be a good beginning. If there are any specific topics you are interested in learning about or reading please let me know either down in the comments below or by emailing me directly at: themixedmamablog@gmail.com with “Multiracial Media Column Question” as your Subject line. Seriously parents. Do NOT brush your kids hair. Unless they are one of the few multiracial kids that don’t have any curl in their hair. But if they are like a majority of biracial kids then do.not.ever. brush their hair. It should only be combed while wet. 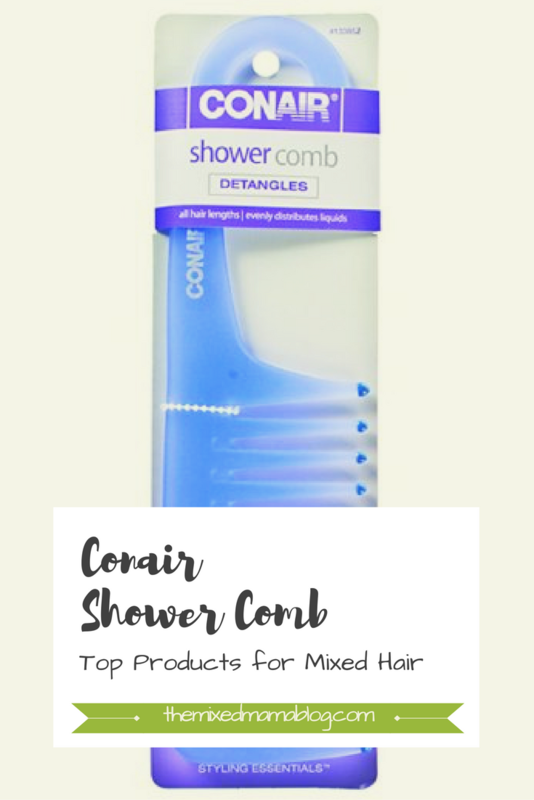 My personal favorite comb is the Conair Wide Tooth Shower Comb. You should be using some form of, some combination of, some concoction of conditioner. Whether that is a leave-in, or moisturizing conditioner in the bath, and/or a deep conditioner. Honestly I recommend doing all of the above. If you would like to find out more specifics of some of the products I recommend you can check out my post CHEAT SHEET- Mixed Kid Hair Care – The Basics . You have probably heard of the LOC or LCO method. The method basically means LIQUID. OIL. CONDITIONER or LIQUID. CONDITIONER. OIL. Its a layering technique to seal in moisture. The thing is though…. not all oils work for all hair. Try out different kinds until you figure out what works. Check out this post for a list of Top Hair Oils. 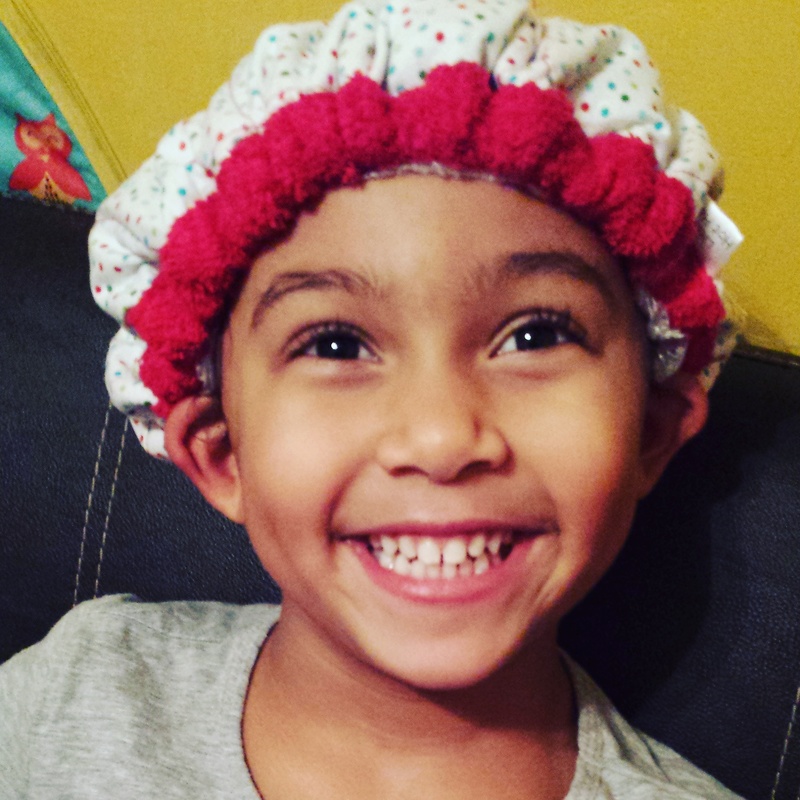 Mixed kids hair has special needs and precautions you have to take as a parent. It is your responsibility to learn them. One of the basics is to keep their hair in a protective style, especially at night time while they sleep, or while they are swimming, or running around playing. This will help prevent knots and keep their hair healthy. If you need some ideas I have already done a few simple tutorial posts that you can check out here, here, and here on Mixed Family Life. Finding a hair salon nearby or making friends with someone who knows how to do natural hair is also a must have if you don’t know how to do hair. 5 – DO NOT OVERWASH HAIR! Simply put… multiracial/curly hair has different needs than other races hair. I could technically wash my hair everyday and it would be fine. But… if I washed my kids hair everyday?! It would be SO DRY. Don’t do it. We wash once per week. But that is only because my daughter has a more oily scalp like I do. When we wash we use a nourishing shampoo and only shampoo her roots. ONLY THE ROOTS. Some people can go even longer without washing. Figure out what works for your children and don’t be afraid to try something that is different. Ok… what am I even talking about. Basically go to the dollar store, get a spray bottle, and fill it with water, some hair oil, and some conditioner, shake up, and use this throughout the week. This can be used in between washes to help “refresh” the hair and add some moisture. This also makes it easier to re-do hairstyles and revive curls mid-week. Even if we could go an entire week without doing my daughter’s hair, we usually re-do it at least once during the week to try to prevent knots. But that just happens to be what works for us. There are also pre-made sprays out there that you can use. We have a couple that we like and love: Soft & Precious Baby Products – Detangling Moisturizer and Lusti Organics – Olive Oil Hair Sheen. This is the MOST IMPORTANT tip in my opinion. We as parents have the responsibility to teach our children to love their hair. Even if it is different than all the other kids in school, even if they want straight hair like you, even if it makes them stand out. Teach them that their uniqueness is GREAT. I don’t know how many times I’ve read parents wanting to straighten their kids hair because they want to be like the other kids in school. In my mind this teaches them that they have to change who they are to be like others. NOOOOO. NO. NO. NO. NO. Our biracial, multiracial, mixed, curly kids are already going to have to face so much resistance in their lives for their differences. Start as young as possible teaching them to be proud and accepting of their traits. Especially vulnerable will be our multiracial daughters and sons with black mixed in. Society tells black/brown people that their natural/curly hair isn’t professional, isn’t acceptable, isn’t desirable… We have to fight that! I want my children to love their natural hair. It is our responsibility as parents to try as hard as we can to accomplish that. 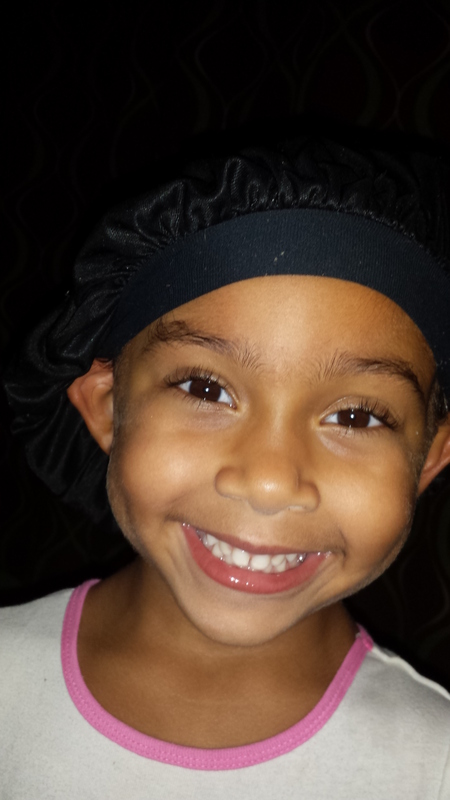 BONUS TIP: Get a satin sleep cap for your kids hair at night time or a satin pillow case. Also… put it into braids before bed. Disclaimer- I am not a professional… this is just what I’ve learned through research and trial & error. We are always learning and I am not afraid to admit if I am wrong and made a mistake. It’s ok if you do too. We, as parents, aren’t perfect. That’s ok. As long as we try as hard as we can for our children. Again, if there are any specific topics you are interested in learning about or reading please let me know either down in the comments below or by emailing me directly at: themixedmamablog@gmail.com with “Multiracial Media Column Question” as your Subject line. Ask Lisa Advice: Should You Move For Diversity’s Sake? 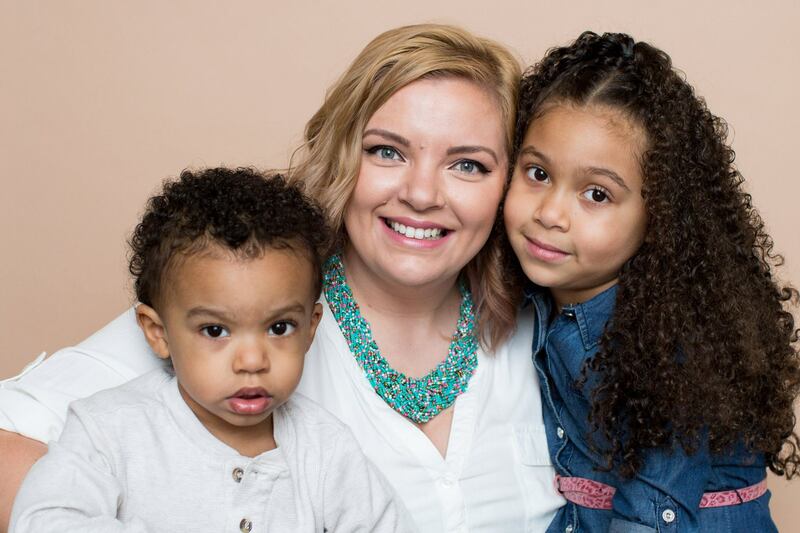 My name is Nicholette, and I am the mom behind “Mixed Family Life.” Hair care can be a cultural barrier, so how does one do the hair of multiracial children? As the white mother of two mixed kids, I felt it was my responsibility to learn how to properly care for their hair. This personal pursuit led me to share what I’ve learned through my blog where I provide tips, tricks, and product reviews so that other interracial parents don't have to make the same mistakes I've made. I also share stories, anecdotes, and lessons learned through parenting. Join me in our goofy adventures and learn some hair tips along the way. 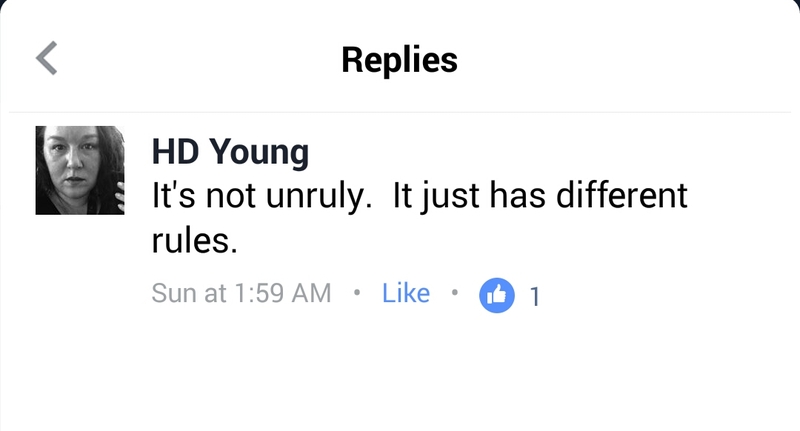 One Response to Parent of a Multiracial Kid? Here are 7 Key Hair Tips you need to know. This article made me chuckle. I am a mixed 42 year woman with a white Mom who had no clue what to do with my hair. She sure could have used these tips. She brushed my hair dry, told me I shouldn’t use more than a dime size of shampoo/ conditioner, and eventually cut my hair short because she couldn’t handle it. I was never taught to love my hair and dreamed about it being long and flowy like white women. I’m so happy you took initiative to learn about your children’s hair, so many people don’t. This was an excellent tip list.